My phone ticks over to 6 a.m. and I set off through the deserted backstreets of Kalambaka beneath a blanket of stars and the brilliant gleam of a crescent moon. It’s my second day here and after being overwhelmed by the heat and crowds the previous day, I’m intent on enjoying the tranquillity of this humbling place without the hoards of summer tourists that descend during the day. Nearing the outskirts of the city, the dim cobbled streets and pastel buildings hung with washing give way to dense scraggly forest where I find the snaking trail that will lead me to the viewpoint far above. The soft purple light of dawn is just beginning to wash across the valley bringing with it the pleasant twitter of birds emerging from their nests and the sweet scent of honey and vanilla that wafts across the still air between the trees. Climbing higher, I look up to see the imposing sandstone monoliths towering overhead. Still cloaked in darkness, their sheer sizes gives the impression of swaying against the inky blue sky. It’s hardly daybreak yet and the stifling summer heat is already beginning to catch in my throat and send beads of salty sweat trickling down my spine. After an hour of trudging uphill and a few wrong turns, I finally emerge at the roadside. In the distant shadows, I glimpse a tiny ant trail of twinkling lights snaking slowly up the rocky pillar beneath the Monastery of St Nicholas Anapavsa; a group of monks making their way to morning prayer, I muse. A band of glowing pink is already creeping slowly down the mountains that form the spectacular backdrop to Meteora and I find my seat amongst the rocks to drink it all in. As the sun peaks over the horizon, vibrant sunlight washes over the treetops, casting off the shadows and illuminating the ancient monasteries in rich copper tones. It feels like a momentous moment and a small stifled gasp bursts from my lips, but there’s nothing to mark the occasion. This is simply nature putting on a tremendous show and the most I can do is bear witness as it unfolds before my eyes. 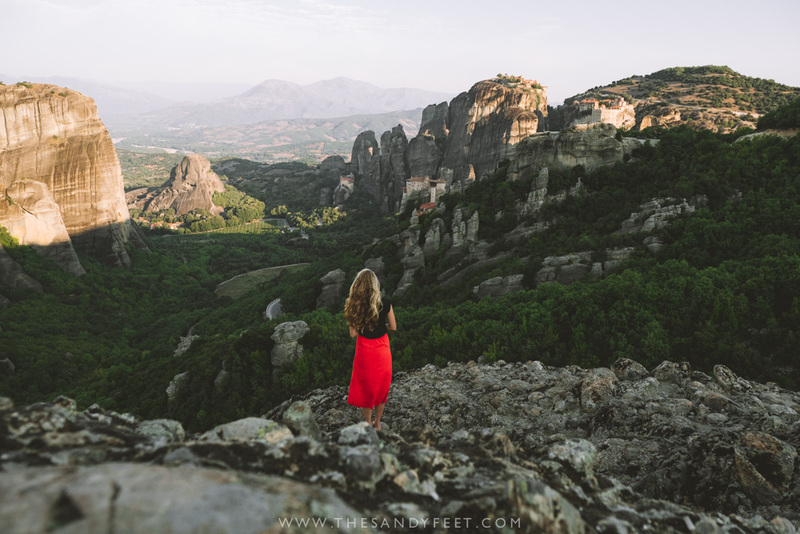 In the waning darkness below, thick forest fills the valley with vibrant greens that spill down to the maze of terracotta and white that marks Kalambaka. 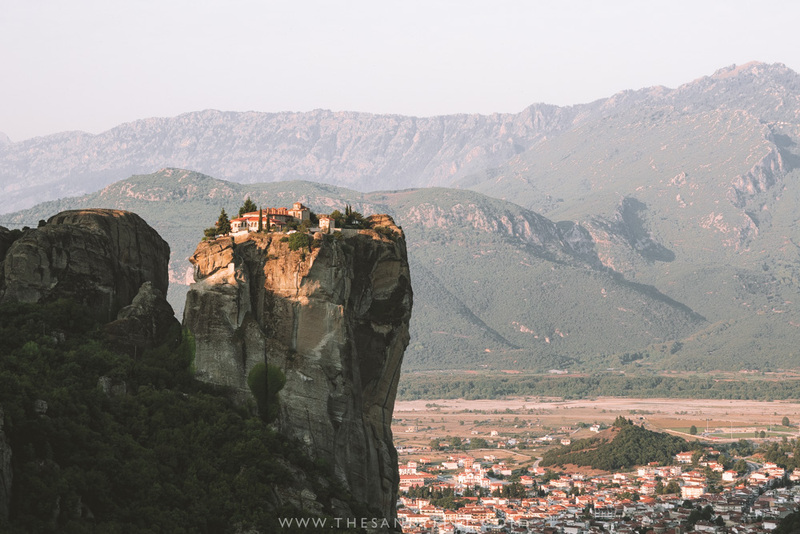 I’m not a religious person, not in any sense of the word, but gazing out across pinnacles of Meteora now bathed in glorious morning light, there’s an unmistakable power that clings to these otherworldly landscapes. A peacefulness, a deafening silence and a wonderful sense of still. I can only imagine what it must have been to look out across the valley when monastic activity was at its peak and some 24 monasteries peppered the rocky outcrops. Today, just six remain with the rest having fallen into ruin. In an hour or two, these rocks will be crawling with visitors craning their necks for the best possible view. The throng of tour buses, cars and scooters all jostling for position will erase any lingering tranquillity and the monasteries now bathed in halos of golden light with fill with curious visitors ready to catch their first glimpse of these ancient structures. But for now all is calm and quiet and I breath in the fresh mountain air for a moment longer. It’s safe to say, this is not a morning I’ll be forgetting in a hurry. In a setting such as Meteora, simply wandering the monasteries and taking in the fabled landscapes is a more than enough to enjoy the place, but there are a few unique experiences that will certainly add to you visit. 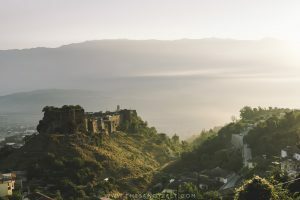 My mornings spent watching Meteora being bathed in golden sunlight were pure captivating magic and the kind of memories that will stick in my mind for a long time to come. Unsurprising, Meteora can become disgustingly crowded, especially in summer, but in the small hours when barely a handful of visitors grace the craggy viewing platforms is when Meteora is truly at its best. 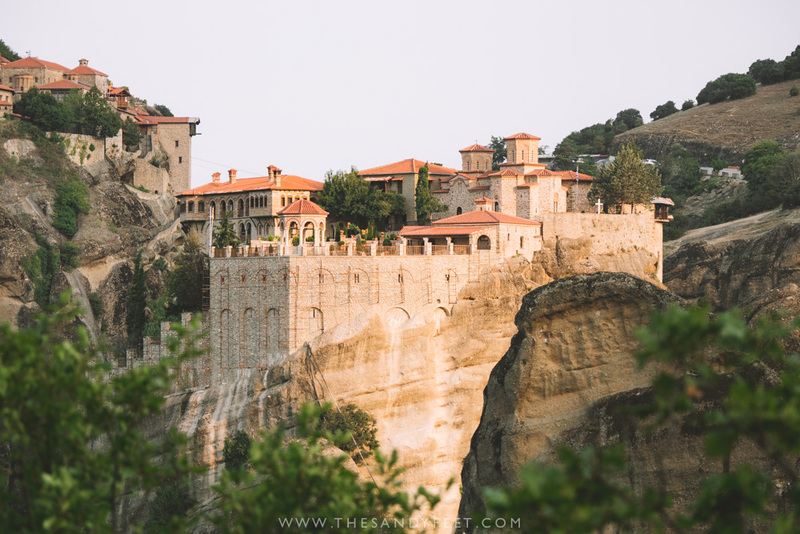 Get There | Staying in Kalambaka without any transport, I chose to hike up along the steep track that winds through the forest and emerges either beneath the Monastery of the Holy Trinity or at the lookout a short way to the left depending on which route you take. It’s a fantastic walk that weaves through the scraggly forest directly beneath the towering pinnacles of rock. From the centre of Kalambaka, it takes around 50-minutes to reach the top so try to leave at least an hour before sunrise. 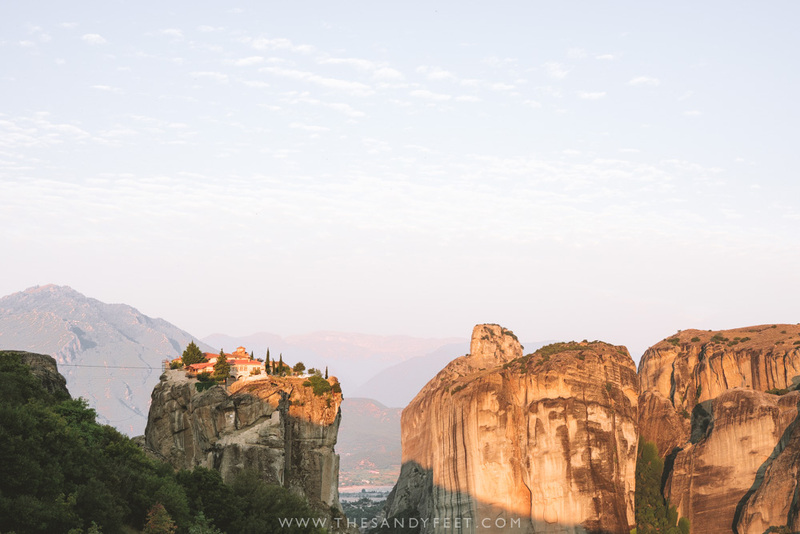 Most likely the main reason you’re visiting, you simply can’t visit Meteora and not set foot in at least a few of its monasteries. Ultimately you don’t need to visit them all, but taking the time to explore at least three should give you a feel of the place. See below for a break down of each monastery. 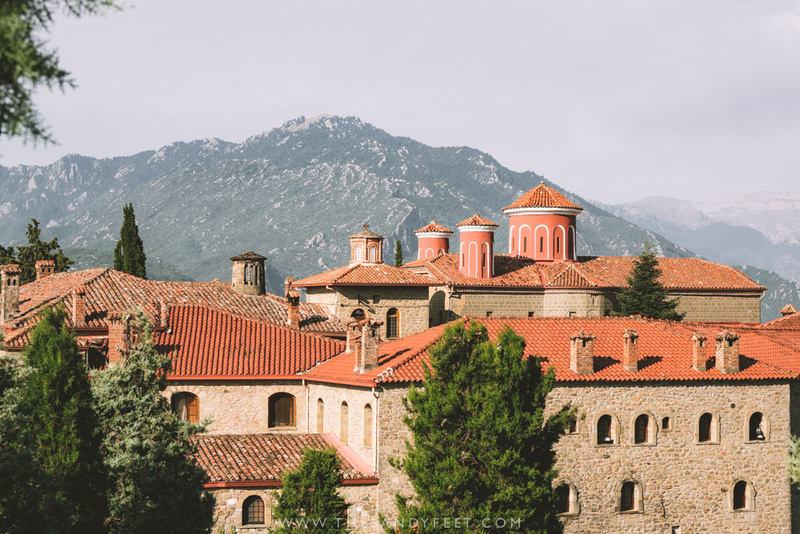 Get There | Bus, drive or walk from Kalambaka up to the monasteries and move between them throughout the day. 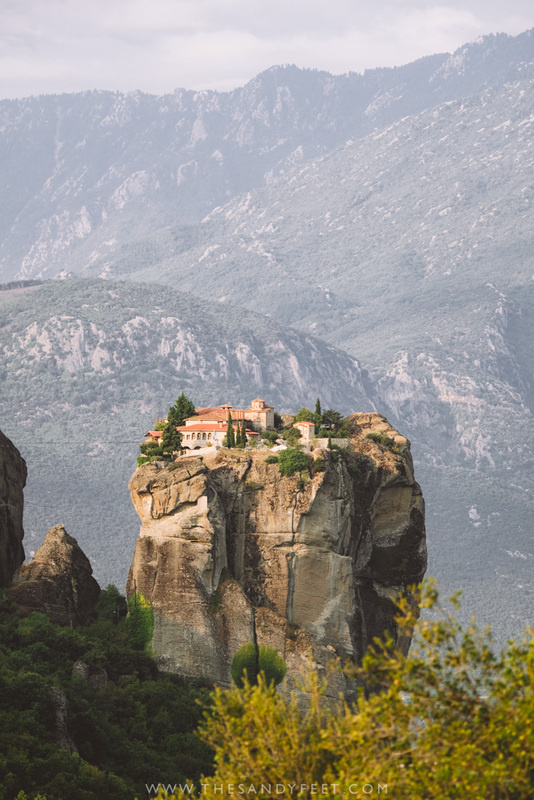 Join A Tour | This top-rated Half-Day Meteora Tour visits the three monasteries and delves into the history, lifestyle and location of these monastic communities. 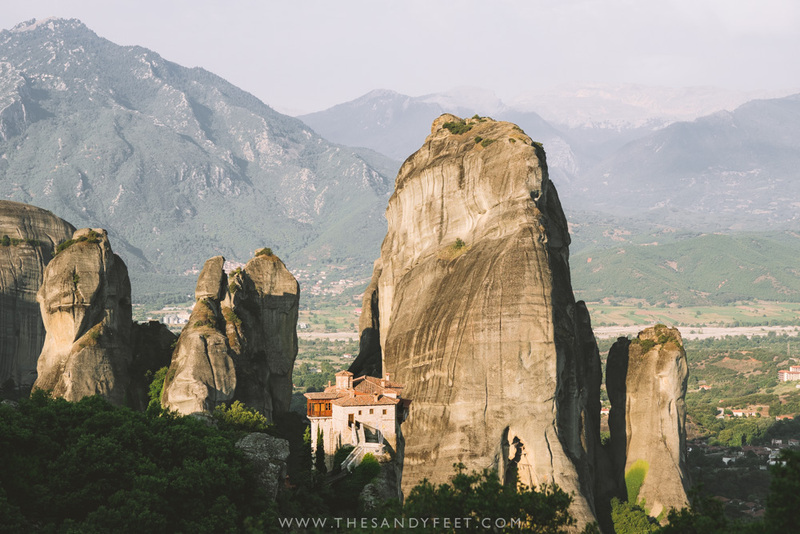 Set amidst a bowl of craggy mountains, the scenery surrounding Meteora is simply spectacular and exploring on foot is one of the best ways to escape the crowds, view the monasteries from different vantage points and better explore the countryside. 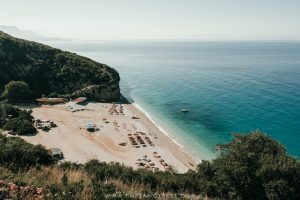 Aside from hiking, there are also a number of great opportunities for outdoor adventure such as mountain biking, rock-climbing and via ferrata, as well as a number of caves which are worth exploring. Get There | I explored virtually everywhere on foot, including the rocky climb between Kalambaka and the monasteries, a dusty trail which veers left off the road to Vlachava and weaves through the forest emerging at Great Meteoron, the leafy path between Great Meteoron and St Nicholas and the backroad to Kastraki which all offer up a different perspective on these unique landscapes. 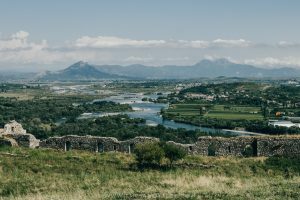 There are also a number of caves in the area, monastery ruins and a series of enormous rocks north of Kastraki which offer up excellent views. Have a look on Maps.Me and you’ll quickly find the various trails on offer. 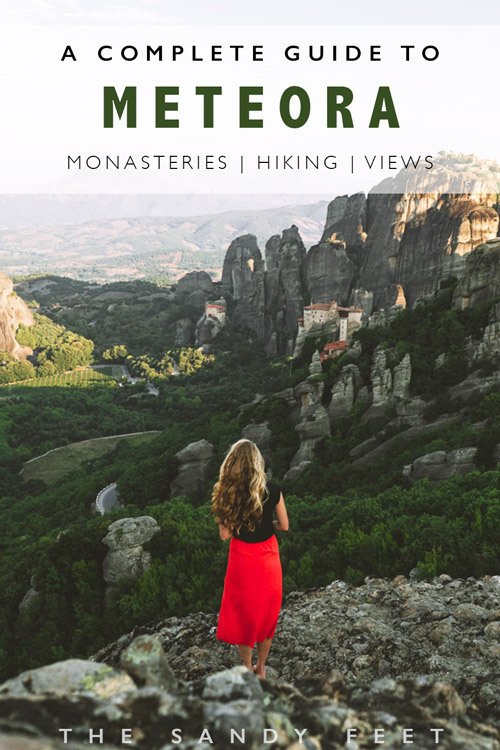 Join A Tour | This 5-hour Hiking Tour Of Meteora winds through the forests around Kastraki and the monastery ruins that lie hidden here, followed by a tour of the Great Meteoron Monastery. Or for something more adventurous, consider a Scramble Tour (like a via ferrata) or Cave Tour also run by Visit Meteora. 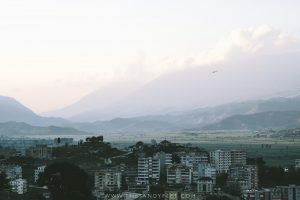 Missed sunrise? Sunset is meant to be even better, although there’ll be plenty more people about to enjoy it with. The main lookout on the upper road (marked as Observation Deck 1 on Google Maps) is the best place to catch the show. 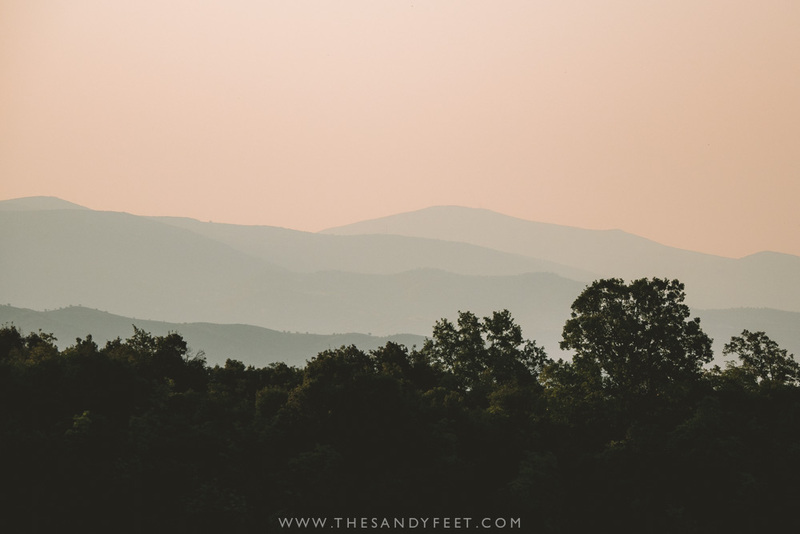 Get There | You can follow the same sunrise hiking route, just remember that you’ll have to make your way down in the dark so be sure to bring a torch. 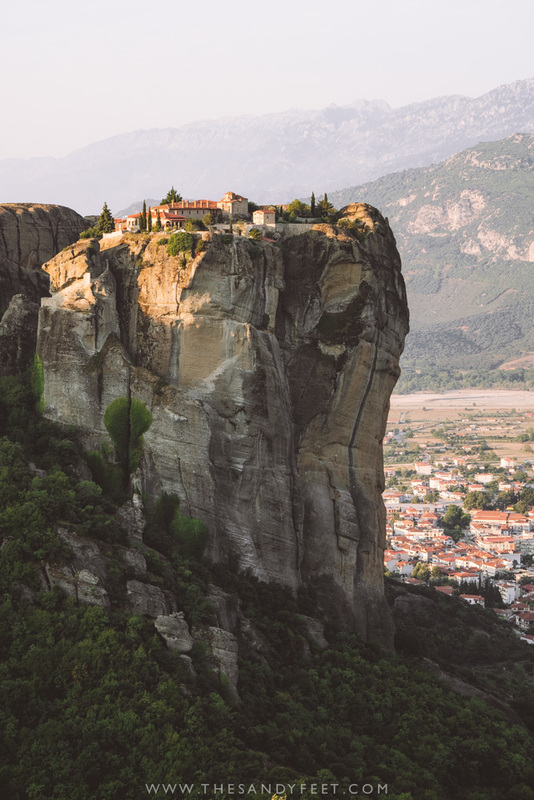 Join A Tour | Meteora’s most popular tour takes in one or two monasteries before hunkering down for an unforgettable sunset across the valley. 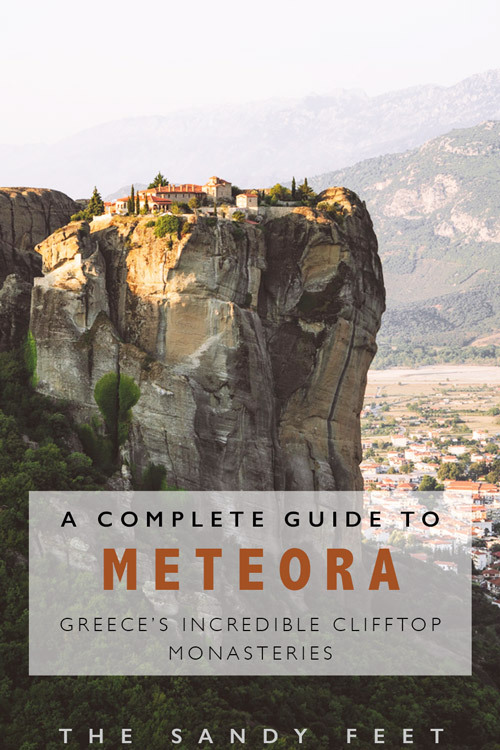 This tour and this tour are both excellent value and have become two of Meteora’s bestselling experiences. 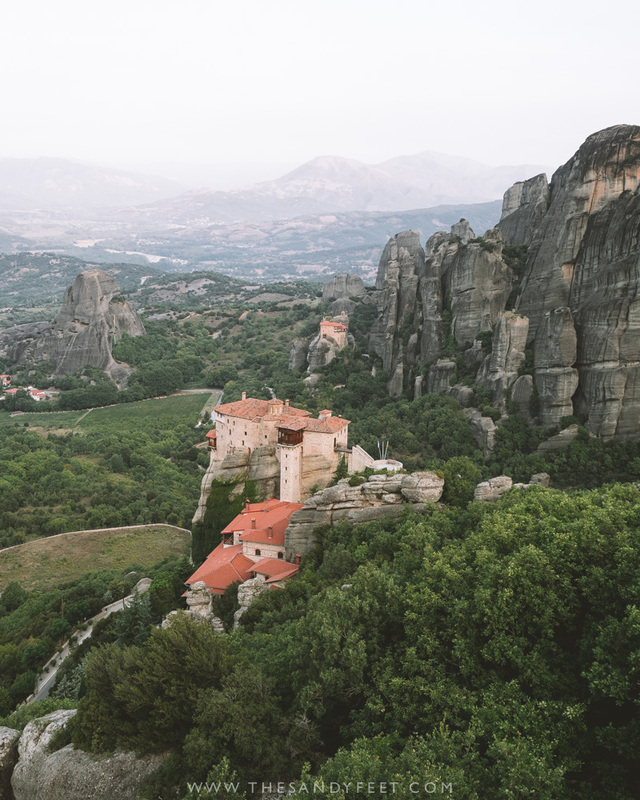 The reason so many travellers venture to this pocket of mythical landscapes in the north of Greece, whether on a spiritual pilgrimage or simply to tick it off their bucket list, is without a doubt the hallowed chambers of Meteora’s monasteries. Dating back to the 12th century with the founding of Great Meteoron, the rocky towers provided the monks sanctuary from the growing conflict in the region. As the monastic community expanded, these lofty perches continue to be particularly difficult to access with goods and people hoisted up the cliffs by a system of ropes and nets that can still be seen in action today. The oldest and most expansive of the monasteries, Great Meteoron is also the most popular and is often the very first stop for visitors arriving in Meteora. The sprawling complex includes the holy cathedral adorned with 16-century frescoes, an interesting museum of folklore though unfortunately the inscriptions are not translated into English and the old kitchen. With plenty to see, you can spend around an hour exploring. If you’re visiting on foot, there’s a great forested trail that leads directly down from Great Meteoron toward St Nicholas below and is far more pleasant than walking along the road. Impossibly beautiful Varlaam was perhaps my favourite of the Meteora monasteries with its charming open-air balcony that gazes over the valley the most magnificent spot of all. Be sure to catch the video in the museum which illustrates how the monks were hoisted up to the monastery using the large rope net. Holy Trinity has one the most dramatic settings, perched high on a slender free-standing spire of rock. Its position means it requires a steep climb up the rock face and most of the monastery itself is reserved for monastic activity and so is off limits to visitors, but the views over the valley are fantastic. With peach coloured spires and a spectacular mountain backdrop, St Stephens makes a striking first impression. The fresco embellished church, the museum, beautiful courtyard and balcony are all worth a visit. This is also one of just two monasteries inhabited by nuns. Unfortunately, I arrived here at the same time as about eight tour buses and so quickly found myself squeezed in with an enormous crowd. The views are great and the garden very pretty, but I didn’t get to spend all that much time here to enjoy it. Careening off the cliff between the trees, Rousanou’s location is quite unique making it one of the most heavily photographed monasteries as it appears to hover amongst the trees. This is the second of Meteora’s monasteries inhabited by nuns, though the site itself is fairly small and can become very cramped when the crowds swell. If you’re very short on time, this is probably the one I would skip. The steep, sweaty climb leading up the rock face to St. Nicholas means it’s one of the least visited of the monasteries of Meteora. Crowding out the narrow plateau of rock, however, its location is rather special. There’s not a great deal to see inside, but there’s a lovely garden area that boasts excellent views. There’s a €3 entry fee for each monastery payable at the door. In general, if you feel the need to return later in the day when the crowds have abated or the lighting is better, you can show your ticket at the door for readmittance without having to pay again. Most monasteries are open from 9 a.m. to 5 p.m. with at least one day a week where each monastery will close its doors to visitors. Try to plan your trip around the days of closure and arrive around opening time or just before they close for the day to beat the crowds. Check the current opening hours for both summer and winter here. Many people visit Meteora by car or by renting a scooter down in Kalambaka. 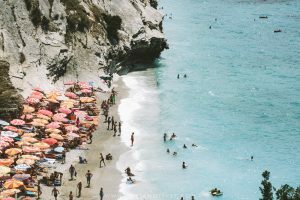 While this makes getting around relatively easy, it also makes parking something of a nightmare as the tiny roads and limited space are just not built to accommodate the summer crowds. Add in a few dozen buses trying to turn around, give way and wait for their guests to return and it’s not long before the roads become completely choked. 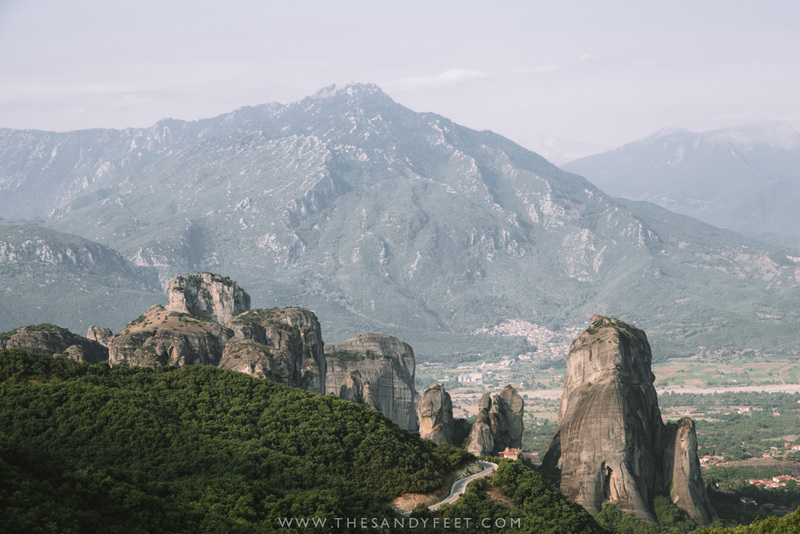 An alternative is to take the Meteora bus which runs from April to October and makes it easy to reach the monastery complex without the having to battle the congestion. There are just three buses each day which can drop you at any of the monasteries, but from there you’ll have to make your way between each site. 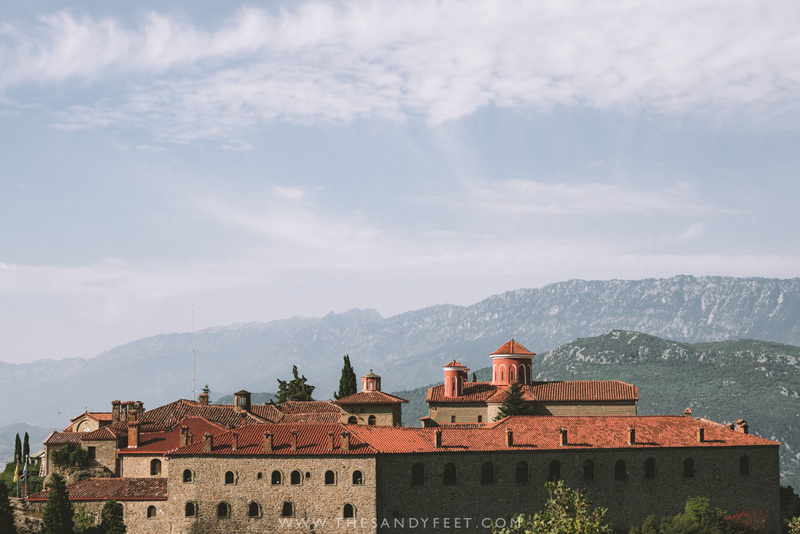 Given the monasteries are quite close together though, if you plan it well, you shouldn’t have to walk too far and it’s actually a rather a pleasant way to get around, though it can get incredibly hot. From Kalambaka, the bus loops through all the monasteries, before beginning the return journey an hour later from St. Stephens Monastery. Tickets are €1.60 one-way, slightly less for return. Otherwise, it’s about an hour’s walk between Kalambaka and Meteora, either along the forest trail which emerges near the Holy Trinity Monastery or via Kastraki. Most days I would hike up to experience the place at sunrise, visit a few of the monasteries and then take the bus back down, or vice versa. Bring snacks + plenty of water | There’s not all that many places to eat up around the monasteries, just a few food trucks selling ice-creams and basic snacks, so it’s definitely a good idea to bring a packed lunch if you intend to spend all day around Meteora. There are a few bakeries and supermarkets in Kalambaka where you can find supplies. In summer, temperatures are also scorching so be sure to bring plenty of water, especially if you’ll be exploring the area on foot. Dress modestly | Modest dress is essential for visiting the monasteries and is just a basic sign of respect. Knees, shoulders and cleavage should all be covered up and at each entry point, visitors will be provided with a wrap skirt or cape to cover anything deemed inappropriate. This includes pants/trousers that are considered too fitted. Men wearing short shorts may also be asked to don some loose pantaloon-like items. But don’t worry, most visitors end up looking slightly ridiculous in their billowy, mismatched monastery garb. 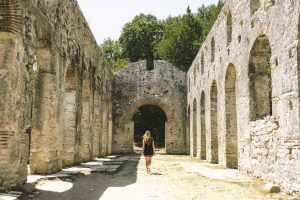 Get there early | The early bird gets the monasteries all to themselves. Well, not exactly, but you’ll certainly have fewer crowds to contend with than if you arrive later on. Plan out your route for visiting the monasteries each day and try to arrive when they open the doors. Alternatively, late afternoon in the hour or so before the monasteries begin to close is also a good time as the crowds have begun to dissipate. 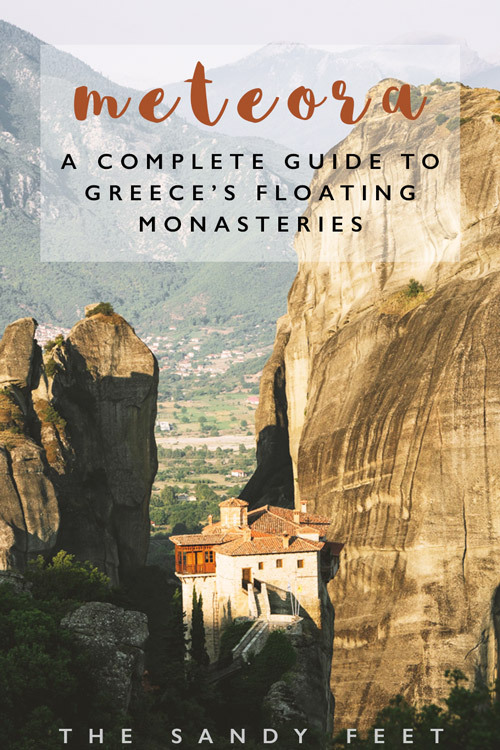 You don’t have to see every monastery | If you’re short on time, don’t feel like you need to run yourself ragged trying to squeeze in every single Meteora monastery. 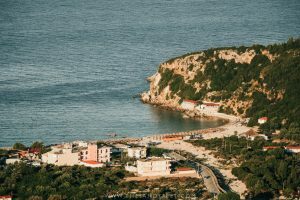 Best is to focus on 3 or 4 while also allowing time to explore the wider area – following the walking trails through the forests or across the hillsides, visiting the caves and enjoying the lookout points are just as rewarding. Plan around open hours | Everyday, at least one of the monasteries is closed to visitors. This means that the following morning, all the overnight tours will be clamouring to be the first to enter that monastery so as to complete the set and essentially complete monastery mayhem ensues. 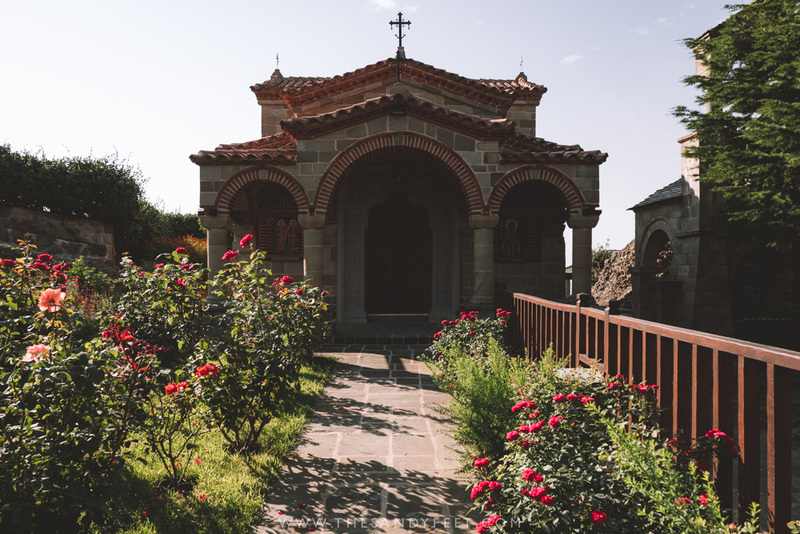 If you plan to visit all six Meteora monasteries, keep on eye on when each is open and perhaps don’t put one first on your list for the day if it was closed the day before. For visiting Meteora, most people stay at either Kalambaka or Kastraki. 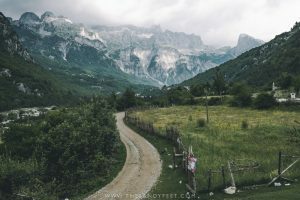 Though I much preferred the former for its choice of restaurants and easy access to both the train station and the hiking trails, Kastraki is much more peaceful and boasts the best views of the rocky towers. 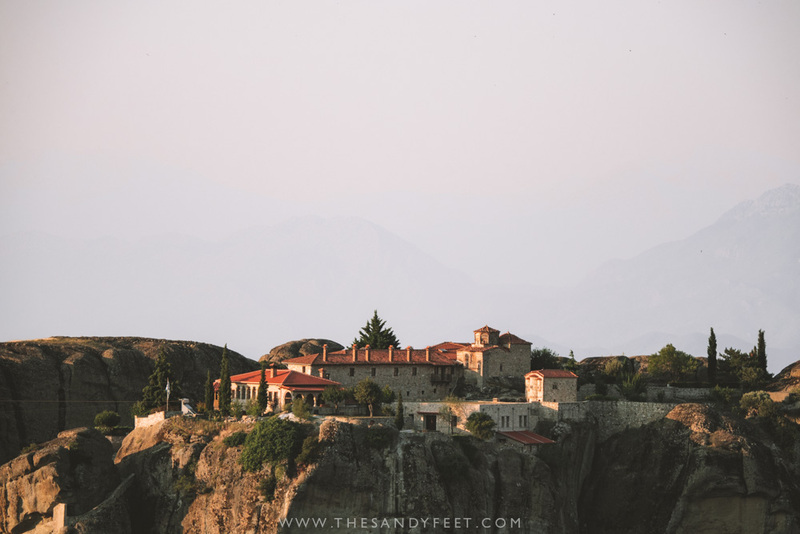 Meteora Central Hostel | I stayed at this excellent hostel in the heart of Kalambaka on the recommendation of a fellow traveller and was not disappointed. Rooms are clean and spacious and each bed is equipped with a night light, locker and storage pocket. There’s also a guest kitchen and plenty of chill-out space in the next door cafe/bar of the same owner. 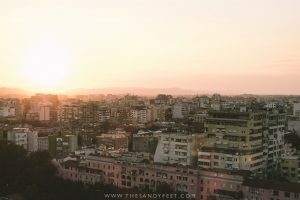 Check rates and availability on Hostelworld or Booking.com. 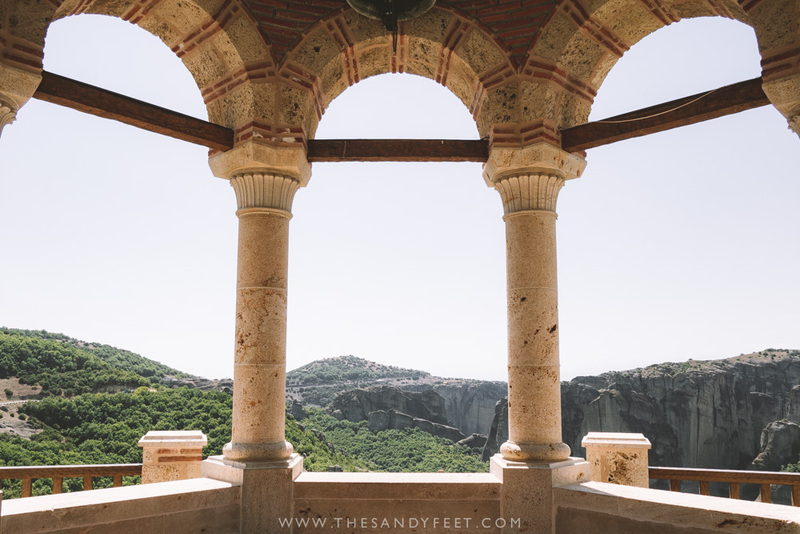 Pyrgos Adrachti | Set on the fringes of Kastraki amongst the towering pillars of Meteora, the fantastic views offered at this 3-star hotel are hard to pass up. Guests also love the rustic design, spacious rooms, friendly staff and traditional Greek breakfast. Check rates and availability here. Meteora View Apartments | This bright, modern apartment receives excellent reviews and looks to be perfect for larger groups looking to self cater. Includes all the comforts of home like a fully-equipped kitchen, coffee machine and Netflix. Olive Grove Rooms and Guesthouse Vavitsas are two other reasonably priced guesthouses in Kastraki that boast Meteora views and have excellent reviews online. Admittedly, I was fairly underwhelmed by the food in Kalambaka. Even Greek staples like the humble moussaka had me pining for the far superior versions I had eaten in southern Albania just the previous week. After one too many disappointing experiences with poorly reheated meals, I thankfully stumbled upon the delightful Valia Calda a short walk from the town centre which turned out to be my best meal in the area. The menu is original, portions are generous and prices are reasonable. The staff are also wonderfully welcoming. In fact, the owner came around to every table to personally check in and relay the story of how each chosen dish fitted into his childhood and found its way onto the restaurant’s menu. Don’t miss the baked fetta with walnuts – it is to die for! By Train | There is just one direct train each day from Athens to Kalambaka, leaving at 8:20 a.m. and returning from Kalambaka at 5:32 p.m. Other daily services require a transfer in Palaeofarsalos. The trip takes around 5 hours (longer with a transfer) and may cost anywhere from €15 to €40 depending on how busy the service is and how far in advance you book. Tickets can be purchased at the station but if you’re travelling during peak season, it’s definitely best to buy them in advance as tickets do sell out. Check the current timetable here. By Bus | There’s a bus that travels between Athens and Trikala, where you’ll need to change to a bus for Kalambaka. The train is far more straightforward and pleasant and the stations at each end are much easier to reach so honestly, I’d recommend just sticking to the train. By Tour | Short on time and don’t want the hassle of organising a tight trip? 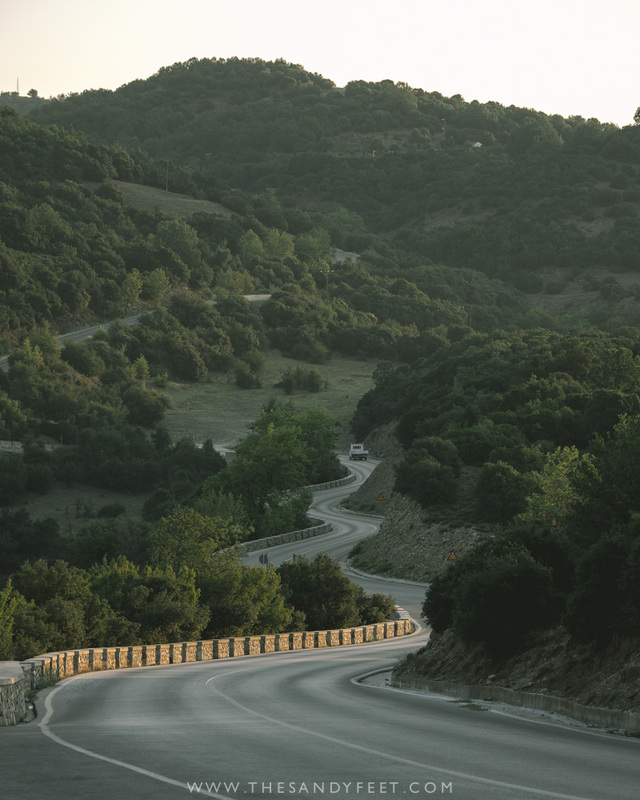 It’s possible to take a jam-packed day or overnight trip from Athens to Meteora. Check rates and availability here. From Thessaloniki, it’s possible to arrive by both bus or train. Read this guide for more information. If you’re coming from the north of Greece, Ioannina is the best transfer point with two buses daily to Kalambaka. 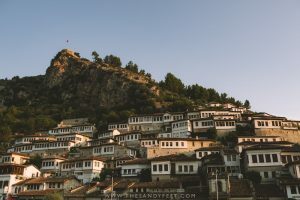 This was how I arrived in Meteora, on a very long, winding journey from Albania’s historic town of Berat, but there are also services available from Gjirokaster and Saranda. I organised the trip through my guesthouse with a local travel agent for around €20. 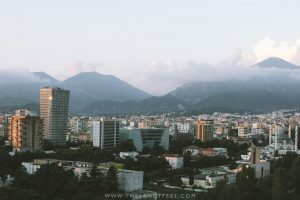 The trip was a long 9+ hour ordeal including at least 3 hours at the painfully slow border crossing and a short lunch break about 10-minutes out from Kalambaka. After crossing the border, there’s also a long winding section of hair-pin bends that drivers tend to fly around causing half my bus to desperately start reaching for the plastic bags. If you’re someone who gets motion sick, consider taking either a bag or a pill to help you out. 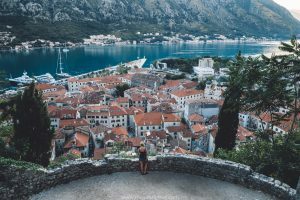 Heading to Eastern Europe? Start Planning your adventure with these guides.